Voogen Reviews - Is Voogen Reliable or Another Scam? Established in 2011, Voogen is an American company that sells social media signals with the aim of boosting anyone’s popularity on Facebook, Instagram, Twitter, or with the YouTube services this review focuses on. The company is mostly known for its organic YouTube interactions. To order, all you need is the URL of the video, then you can checkout through PayPal. Delivery time estimates are between one to 20 days, depending on the volume of your order. Voogen’s website is easy to navigate. 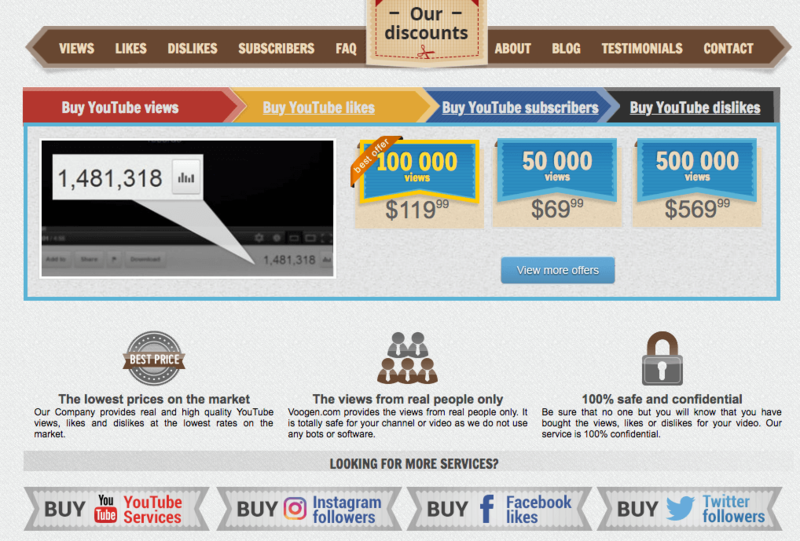 You can easily see their YouTube services since these are made into tabs, but it will take you a while to realize that they have other social media services as well. The website does not support HTTPS on its entire site though, so be wary when entering sensitive information. Voogen gives refunds only for service packages backed with their 100% money-back guarantee, but you can get in touch with their customer support for any dispute through their contact form, or by email at info@voogen.com. The best thing about Voogen is its promise of authentic views which do not violate YouTube’s policies. The testimonials of its clients, and the fact that it has been in the industry for years, tell us that this isn’t a fly by night company. They’re packages start at 10,000 views, which can be a bit much for smaller channels just starting out. Voogen is reliable, but if you’re risk-averse, the safest way is to go for their service package that has a 100% money-back guarantee. How about you? Have you tried Voogen’s services? Share your thoughts with us by posting your own review.